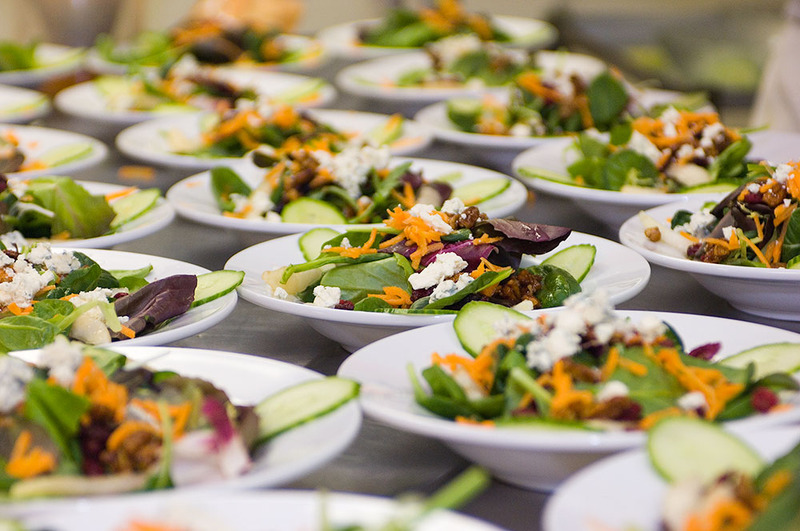 Enjoy awe-inspiring heliskiing and heliboarding terrain, a heli on your front lawn, gourmet dining, superior service, and luxury lodge accommodations in a wilderness setting. 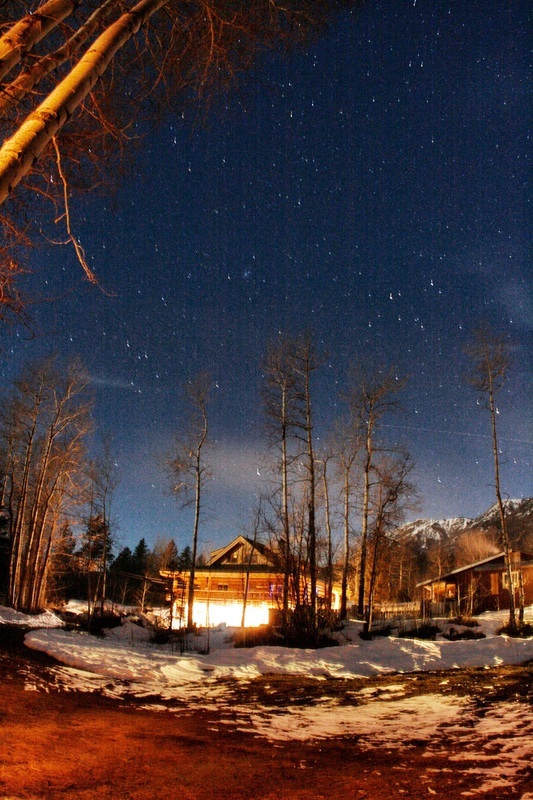 This is the perfect place for you and your closest friends to come for the best heliski holiday of your collective lives. Tweedsmuir Lodge Heli Skiing is Bella Coola’s original heliskiing and heliboarding location. 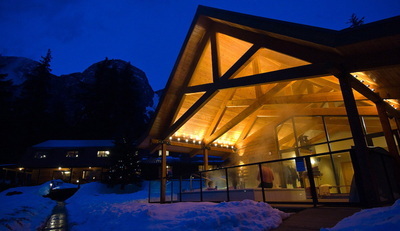 They’ve been hosting heliskiers there since 2001. The Private Heli Experience is based on a set amount of flying time. This is ideal for a group of up to four people wanting the maximum amount if flexibility and exclusivity. The program can also be booked as a semi-private, in which case there is space for up to eight people flying as two groups of four per helicopter. The Vertical Heli Ski Program is based on a set amount of vertical feet of heli skiing included over the course of your stay. 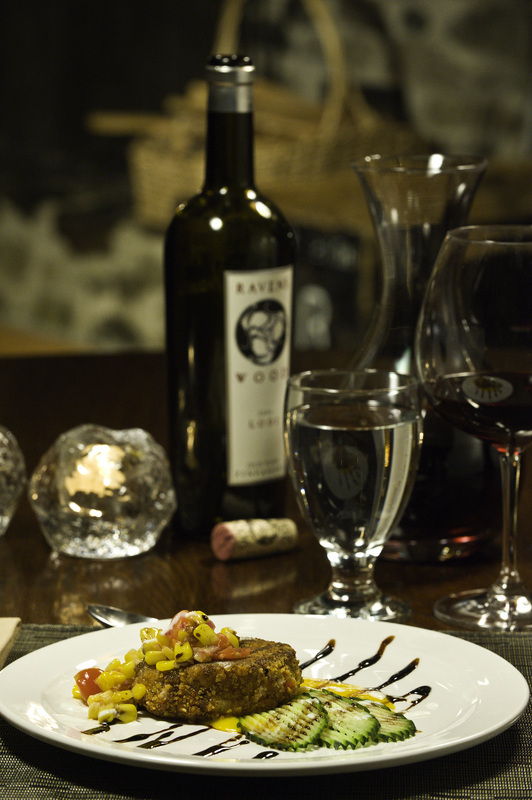 The program is ideal for solo travels, couples and small groups of friends. The main advantage for our guests is that they know how much heliskiing is included in the package, Hint: since we have the advantage of heli skiing in small groups of four, encourage 3 or more of your friends/family to join so that you have your own private group. The Ski Safari Program opens up the entire 10,700 sq/km (4,300 sq/m or 2.64 million acres) of our playground to groups wanting to explore and heliski where no one else has previously. The Rod and Ski Club program runs in the summer and includes heliskiing velvety, smooth snow in the morning and the chance to catch King and Spring Salmon in the afternoon. 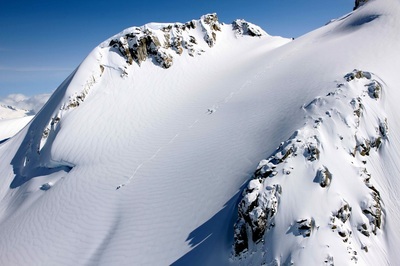 The Pantheon ski terrain surrounds Mt Waddington, British Columbia's highest peak. A number of prominent Hollywood films including: “K2”, “Kundun” and “Seven Years in Tibet” were shot here because of the Himalayan scale of the slopes and escarpments. 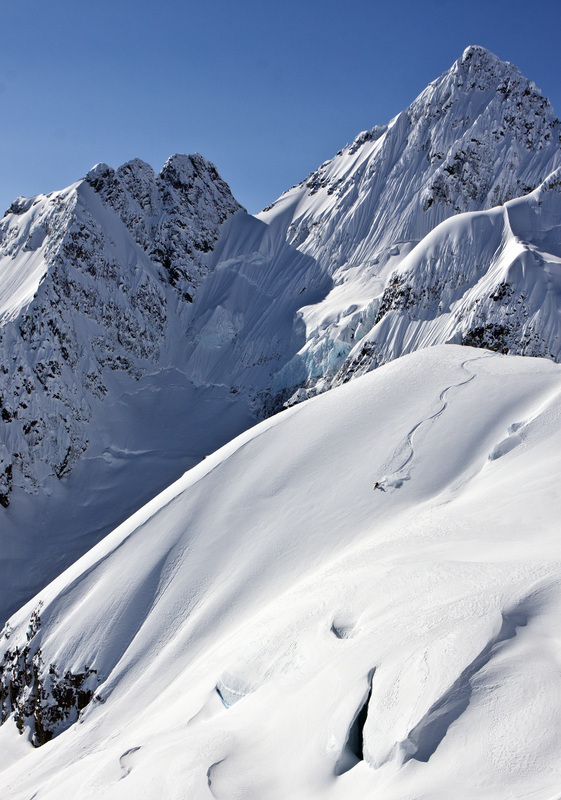 Pantheon Heli Skiing is the newest member of the Bella Coola Heli Sports family. Accommodation is at the White Saddle Ranch, a pioneering cattle station straddling the remote Chilcotin Plateau and majestic Coast Mountains. 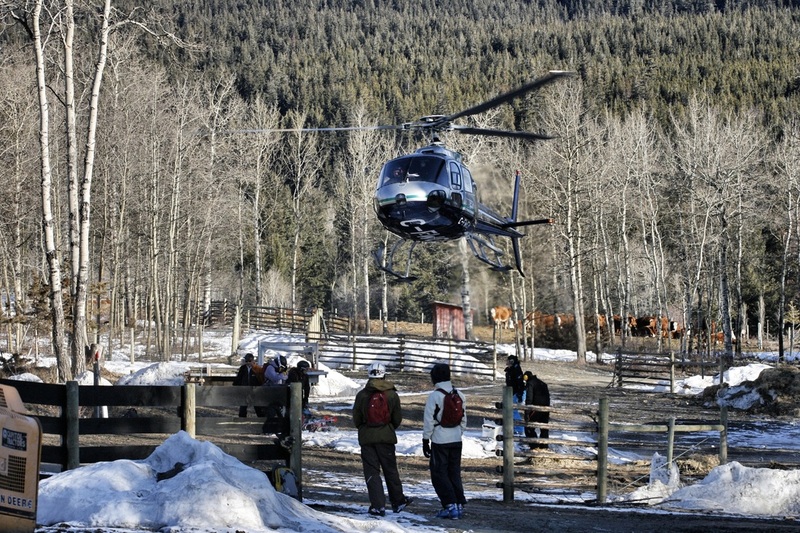 It is possible to book either a semi-private heliskiing experience for up to eight people (two groups sharing one machine) or a private heli program with one load in the machine for up to four people. 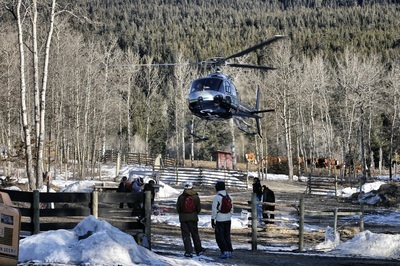 In addition, Pantheon also hosts our Heli Skiing Safari programs. Pantheon Heli Skiing is a very unique skiing experience, and to date only a handful of lucky groups have skied here. You and your friends should be next. 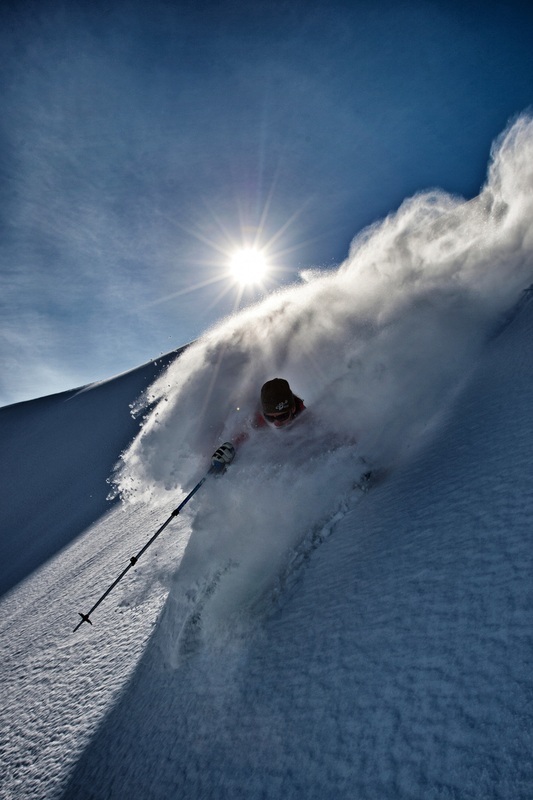 The Big Mountain Adventure programs are specialty heliski programs. Whether you want to maximize your vertical, ski more challenging terrain, or enjoy the mountains at a more leisurely pace while still benefiting from all that a helicopter has to offer, then check out the programs listed in this section. The "Big Mountain Vertical" program is designed for people wanting to maximize their heliskiing and boarding for a given dollar spent. There is no caviar or champagne, but there are lots of turns, small groups and an industry best format of just 2 groups per helicopter! 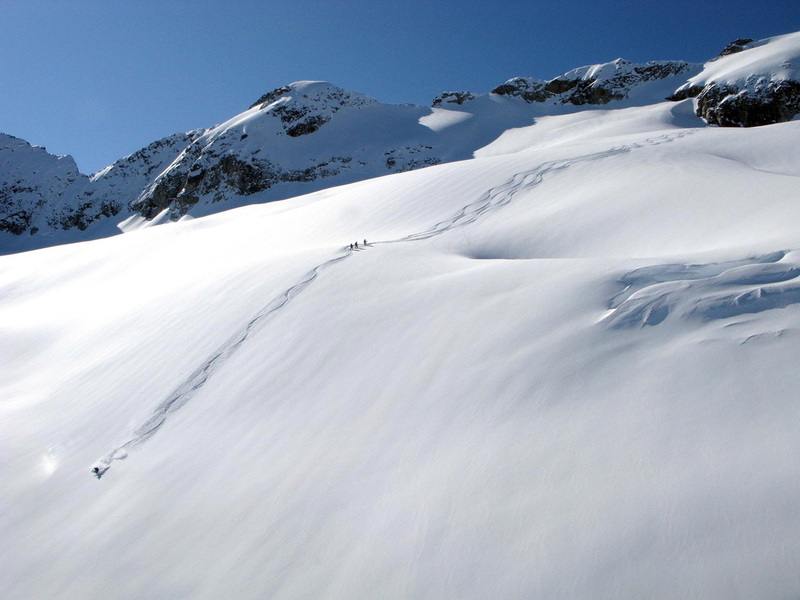 The "Steep Skiing Challenge" program is for individuals and groups wanting to ski or board bigger slopes and steeper lines then what is traditionally available in commercial heli skiing. Bella Coola is the ideal place for this and is why we first started coming here. The terrain is big, the snow sticks to steeper slopes and our guides have lots of experience. 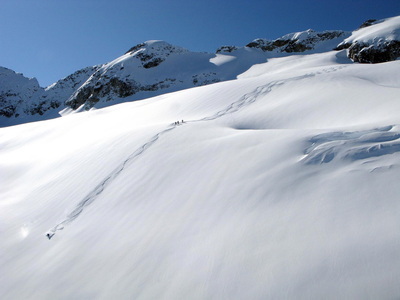 The "Heli-Assist Ski Touring" program is a combination ski touring and heli ski week. You get the best of both worlds. The thrill and speed of helicopter accessed skiing as well as the quiet and solitude of ski mountaineering. Ski great powder as well as get great exercise in the most stunning locations imaginable.